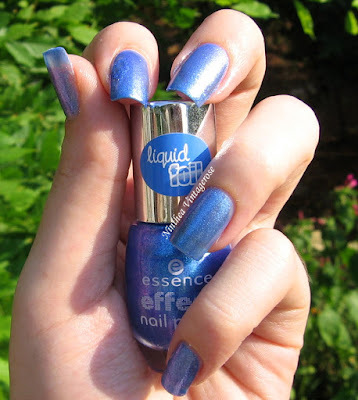 So what can I say about this nail polish, well the color is just amazing!! I love it so much I have also used it for my pedicure! The fist time I used this nail polish I have applied a white base but it's not necessary so for the today's swatch I have applied only a transparent base. 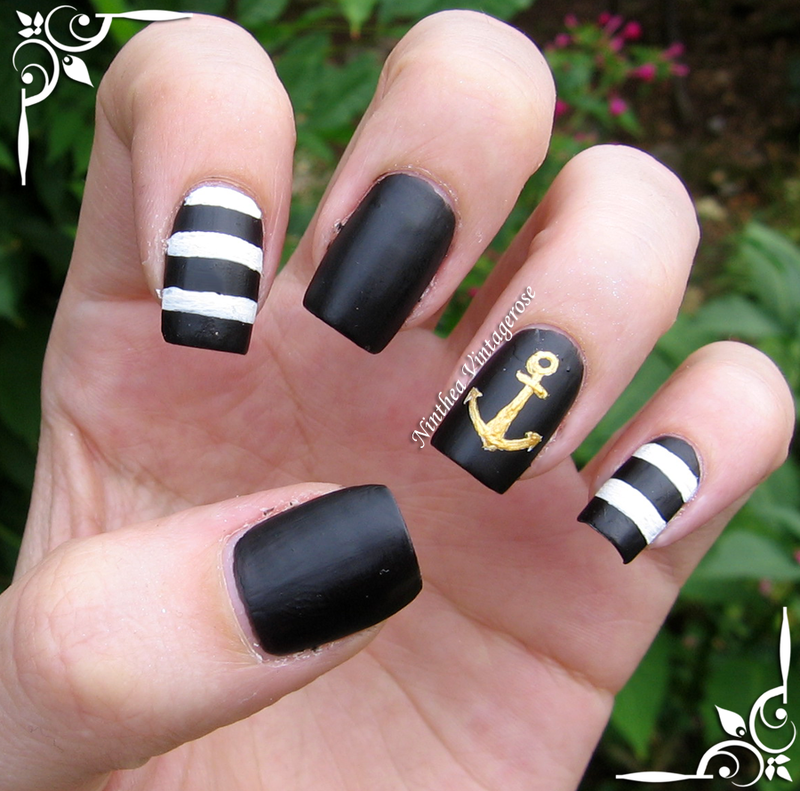 In the pictures you will see two coats without top coat. The inspiration for today was a picture that I found on Pinterest so I decided to reproduce it. 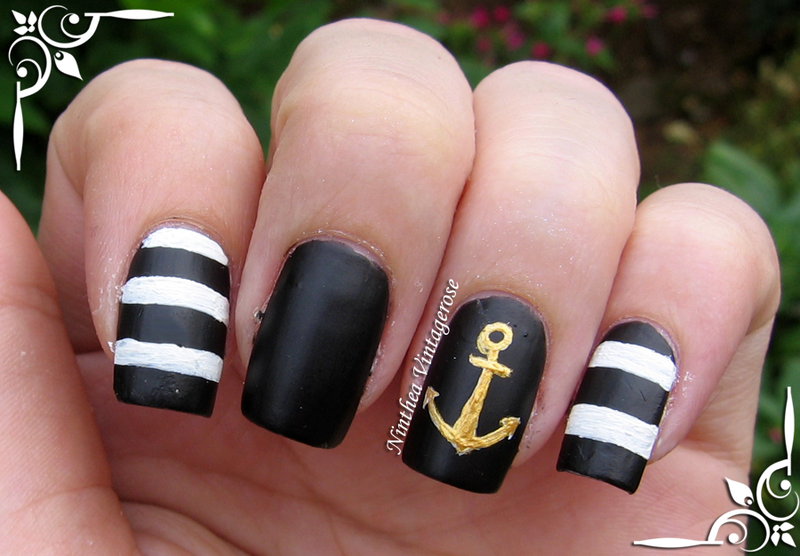 At first I wanted to make a classic red and blue navy nail art but then I saw a black, white and gold version and I chose that one. 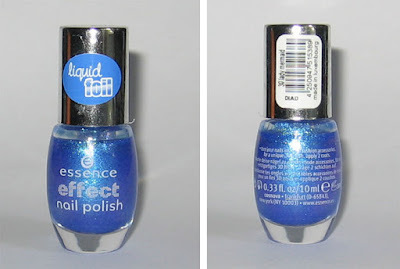 Hello finally I have swatched the Essence liquid foil! 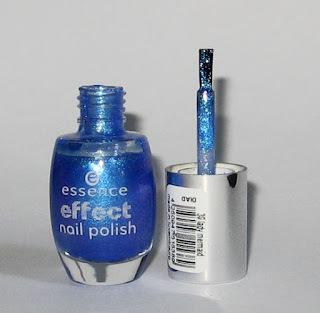 It's a very beautiful blue nail polish with some pink glitters inside that gives a cute reflection, but I don't think you can see it in the pictures. The brush is good and so is the drying time. 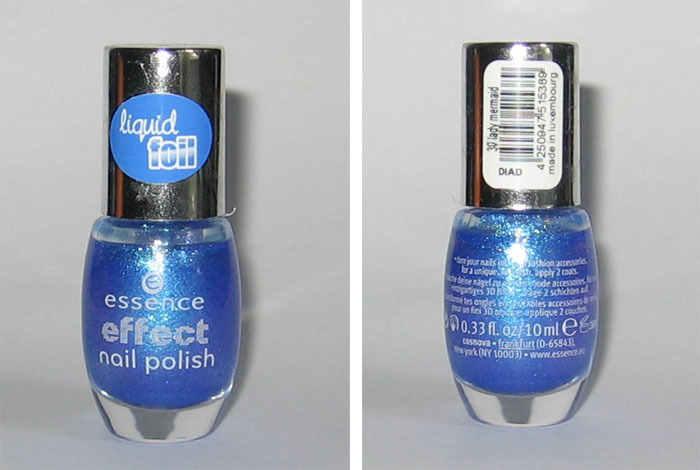 Do you like foil nail polishes? What do you think about this color? I am sorry that I have disappeared from the blog in these days but I didn't have time to go on internet. So I couldn't even check your blogs. A friend has come here for the holidays so I spend all my free time with her. 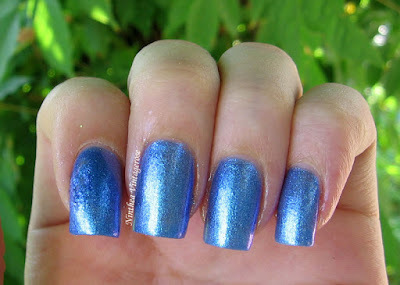 For the today's post I decided to write a review for Born pretty store. The item I will be talk about is a glitter picker. 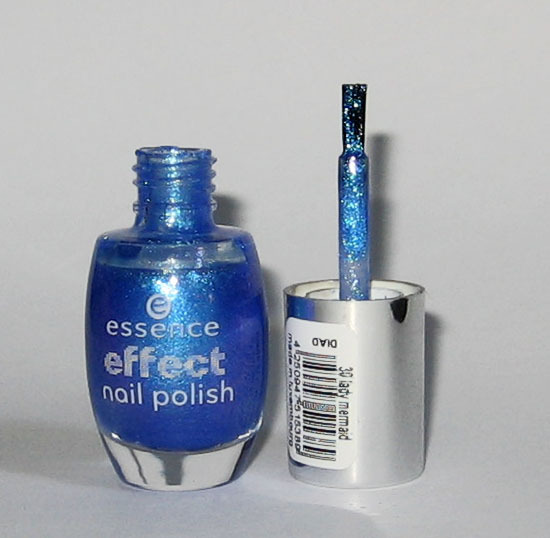 Basically it's a sponge tool that helps to apply glitters on the nail. It looked interesting so I decide to try it. Usually I use a fan brush to apply the glitters but I decided to try this one too. Description: a brush with a sponge tip. Here below I have made some nail art experiment to test how it works. To clean it I just soaked it into the nail polish remover. The only thing that I didn't like was the way the sponge was attached to the brush. It's a little bit too loosely, I have almost ripped it off. Have you tried this product before? Which tool do you use for applying glitters?